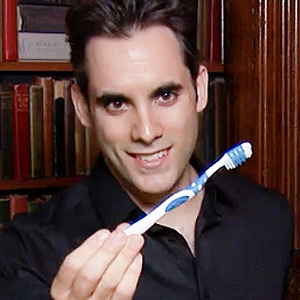 Do you ever wish you had perfect teeth? Although some people come by the ideal smile naturally, many of us could use a little help. Thanks to cosmetic dentistry, you can correct those little imperfections that make you feel self-conscious about your smile. Sacramento, CA dentists, Dr. Jeff DiMariano and Dr. Shaina DiMariano, share information on several popular cosmetic dentistry treatments. When your teeth are dull or yellow, the last thing you want to do is smile. Teeth whitening is an excellent way to lighten and brighten your smile. Although you'll find plenty of teeth whitening products in the drugstore, those store-bought kits aren't as effective as professional teeth whitening services. In most cases, your teeth will be three- to eight-shades whiter after a one-hour treatment at your Sacramento dentist's office. When whitening doesn't get your teeth quite white enough, it's time to consider porcelain veneers. 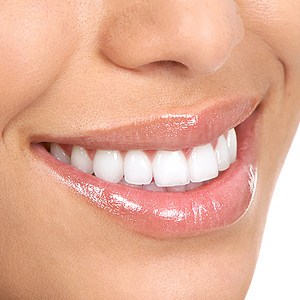 Veneers are very thin pieces of porcelain that are applied to the front surfaces of your teeth. Since you can pick any shade you want, you control the final result. Crowns slip over your teeth, encasing them completely. They're a good choice if you need to stabilize a fragile, broken or damaged tooth, want to cover up a discoloration or hide a short tooth. Crowns are made from a variety of materials, including porcelain, porcelain-fused-to-metal, resin, ceramic and gold. Bridges consist of two crowns on either side of one or more false teeth. They're used to replace lost teeth and are constructed with porcelain or porcelain-fused-to-metal. Composite resin bonding offers an excellent way to repair or hide small defects in your teeth, such as chips, discolorations or gaps. The flexible putty-like material is shaped to cover the area, then cured and hardened with a special light. When you want a permanent solution to tooth loss, dental implants are the perfect option. The titanium implant bonds with bone in your jawbone and actually becomes a permanent part of your jaw. It supports a crown above the gum line that looks and acts just like a natural tooth. Are you concerned about a cosmetic dental issue? Call Drs. DiMariano, your Sacramento, CA dentists, at (916) 929-3898 to schedule an appointment. Transform your smile with cosmetic dentistry!